Hawthorn are thrilled to offer our members, supporters and corporate family an exciting range of package options for the 2019 Toyota AFL Grand Final. - The ultra-premium hospitality and inner-sanctum experience package, The Ultimates - Atlantice and Bistro Guillaume. Packages will sell fast so avoid disappointment and secure your package today to Take Your Place in History! For more information on packages, click here. 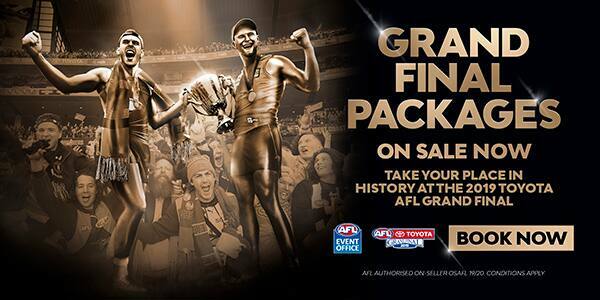 Contact the Hawthorn Corporate Sales Team on (03) 9535 3034 or sales@hawthornfc.com.au.